Larry Loyie was born in Slave Lake, Alberta, where he spent his early years living a traditional Cree life. At the age of ten he was placed in St. Bernard's Mission residential school Grouard, Alberta. He is the author of several plays, short stories and children's stories dealing with native traditions, literacy and residential schools. Larry received the 2001 Canada Post Literacy Award for Individual Achievement (British Columbia). Heather D. Holmund studied fine art and the visual arts at York University, specializing in watercolour. Most recently she has focused on painting people as they relate to the natural world. 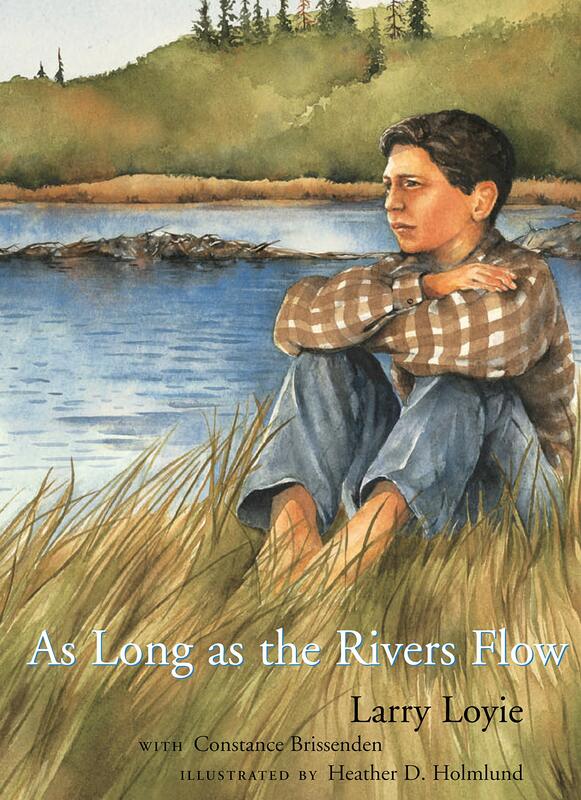 From the day the authors met Heather and saw her work, the three of them shared a similar vision for this unique book, As Long as the Rivers Flow. Constance Brissenden is a freelance writer and editor. She is the author of nine books of travel and history.